Free Computer Recycling in Seattle by Seattle Laptop: Seattle Laptop recycles desktop computers, laptops and Macs / Macbooks for free. 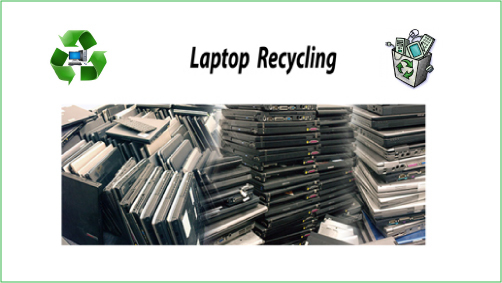 We attempt to repair for re-use all laptops and desktops left for recycling. We do all we can to reduce landfill waste, and other types of toxic e-waste from going to landfills by recycling. Recycling Computers For Over 20 Years: We have been recycling computers and laptops for over 20 years, and have recycled and refurbished for re-use thousands of machines, and put them, and / or their parts back into service. Secure Data Wiping: All recycled computers and laptops left for recycling have their hard drives wiped securely, or destroyed. Our customers don't need to worry about their data. At a customer's request we can provide a certificate of destruction. We attempt to re-use as many recycled hard drives as possible. We use dBan for secure wiping in most cases, and once wiped, the data is not recoverable. If a customer has special needs regarding their data, we can process the wiping immediately, and even begin while they wait, if they want. Computer / Laptop Recycling is Free: There is no charge for recycling laptops, Macs and desktop computers. If you are looking to recycle your computer in Seattle, or possibly a laptop, bring it by our store at 76th and Aurora. 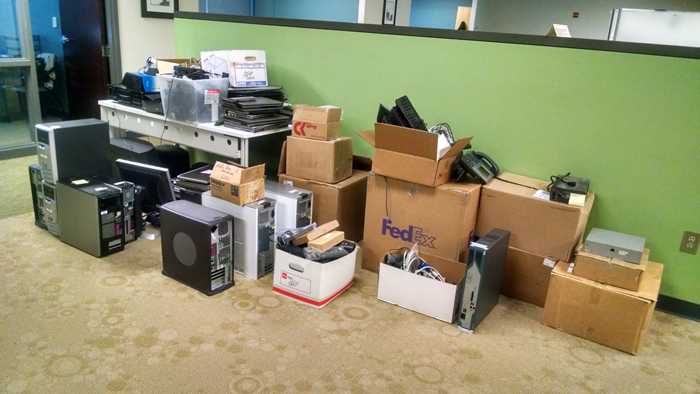 We also offer corporate computer and e-waste recycling in Seattle. If your company has a quantity of computers, servers, or networking equipment that need recycled, or other e-waste you can call us at 206-784-4215 and schedule a pickup. We can provide a certificate of destruction of the data if you require one. Macbook and Apple Recycling: Seattle Laptop services and repairs Macbooks, and we use all of the parts possible from recycled Macbooks for our repair service, and refurbishing for re-use. We recycle iMacs, iPads, iPhones, Mac Pros, and older Macs. We even recycle Powerbooks, and G3, and G4's. If you have older Macs you need to get rid of we can take care of them, and wipe their data. Safe Computer Recycling: Computer Recycling in Seattle made easy! And safe! Data Wiping Guarantee : Seattle Laptop guarantees to securely wipe all data from all computers, laptops, Macbooks, and iMacs recycled at Seattle Laptop. Yes we guarantee to wipe the data on your recycled computers and laptops. Corporate Recycling : Seattle Laptop performs corporate computer recycling. Please 206-784-4215 call for an appointment, and schedule a pickup. We will pick up most corporate surplus computers, laptops, servers, switches, cables and just about everyting else. Remember we can provide a certificate of destruction for all computer and laptop hard drives if necessary. Recycled Computer Audits: Our company also performs audits of recycled comptuers. We can record serial numbers, and basic information as to the manufacturer, model, and other information before we remove and recycle the equipment computers, or laptops. E-Waste Recycling: Many companies have electronics they no longer use or need, and they would like to find a responsible way to recycle them. Every company has e-waste. Small devices, electronics, networking equipment, server equipment etc. Our company has recycled all types of e-waste over the years. We provice free pickup service in most cases too. We recycle more than just laptops and desktops! Medical Equipment Recycling: Seattle Laptop / Seattle Computer Recycling recycles used medical equipment of all types. From ultrasound machines to any size or shape of other medical devices. If your office has any items you need hauled off and recycled give us a call. "The Best Value and Service"